Did Landlord Bungle Nonsmoking Policy? Q: With regard to a landlord’s enforcing a no smoking policy, what if your landlord isn’t specific? We just moved into our new place and the lease just has one statement under the “additional terms” section that states, “This is a non-smoking property. There will be no smoking on or within the property.” I am a smoker and didn’t even see that last bit until I looked at it again a few days later (shame on me for not reading every word). But I have seen the addendums before so that’s what I would have looked for –wherever I’ve lived I have always smoked in my backyard/patio with all windows closed. Would doing so be a violation of my lease? A: Your landlord is going to consider this a violation of the lease. However, you have a raised a great point regarding the clarity of the lease agreement. You mention that you are used to seeing a nonsmoking addendum, which is generally a separate attachment to the lease, as opposed to seeing the smoking ban in a less obvious place within the lease. It makes little difference where the language is included. The problem, though, is that you remember seeing those other addendums, while here you did not realize you were signing a nonsmoking lease. The easiest way for a landlord to enforce any provision in a lease agreement is to make sure a tenant understands these terms before they sign the lease. It’s very difficult for a tenant to follow the rules if they don’t know the rules! If the landlord never pointed to the nonsmoking policy, doesn’t have no-smoking signs around the property, never provided you with details of the policy, or never asked you if you smoked cigarettes during tenant screening, then it’s easy to understand why you would be surprised to see that language in the lease. The question is, where to go from here. If you were to smoke in the property, the landlord likely will try to enforce the nonsmoking ban. This will inevitably lead to a conflict with the landlord. The best course of action would be to ask the landlord to sit down with you and discuss the problem. Tell them you smoke, and that you weren’t trying to hide that fact. Explain that you did not read that portion of the lease. Make your case that it’s hard to find the smoking policy. Ask the landlord if there is room for a possible compromise. For instance, maybe they could provide a smoking area for you during the term of the lease. You may be forced to decide if you can live with smoking only while you are away from the property in order to maintain your lease. As a last resort, ask if you can terminate the lease early and look for another place to live. You would need your landlord’s consent to terminate the lease, but he or she may may prefer that option over having to file for an eviction if you violate the policy. Nonsmoking bans are becoming quite popular, and it’s predicted that tenants who smoke will have an increasingly more difficult time finding a property that allows smoking. Take that into account as you are deciding your course of action. Also, consider the fact that there are legitimate reasons for your landlord to ban smoking. For instance, recent studies have uncovered many serious health risks suffered by others who are exposed to secondhand smoke. Keeping cigarette smoke from entering other units is nearly impossible, especially in apartment buildings. It seems that for every smoker, there is another tenant who is allergic. The landlord is literally caught in the middle. Smoking is not considered a legal right, so landlords are not discriminating when they attempt to curtail smoking in rental properties. Recently, government agencies have encouraged landlords to adopt no-smoking policies. For these reasons, your landlord very well may win an eviction, regardless of how they conveyed the no smoking policy. The outcome of an eviction case depends upon many factors, so there is no way to predict with certainty what will happen here. However, the fact that the policy is in the lease agreement may be enough. But point taken — this controversy would have been avoided if your landlord had done a better job pointing out the rules. Certainly, that is something that will come up if this ends in a legal dispute. I just pasted no smoking all over my house. It seems that although I never agreed to be a young mans landlord, that in the state of Oregon, if he is squatting in my house, he has more rights than me. He has already set one fire. Although I am not allowed to tell him to leave after he becomes violent with disabled parties in my home, and I never agreed to let him stay here like he has, nor did I ever identify any part of my home as his, I am told I can’t tell him not to play disruptive music at all hours, I can’t bar him from walking in my room at night, nor waking me up when he wants the computer or a bus ticket, nor can I bar him from stealing groceries, I can tell him he can’t smoke. It is now on every wall in the house. 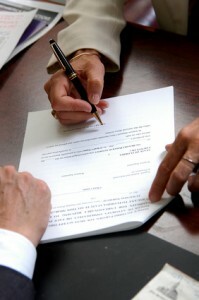 To the tenant in the article: So YOU signed a legally binding contract without reading EVERY word? If I were your landlord I’d tell you to take a hike if you dont like it and if I CATCH you smoking in my property I’ll give you notice to vacate that day. Next post: Tenant Doesn’t Want to Renew Lease: Now What?